WHAT CAN DETOX DO FOR YOU? * Promotes a HEALTHY sense of well being. o HARMONIZE THE BODY TO HANDLE STRONGER GALACTIC ENERGIES…YES THIS IS RELATED TO YEAR 2012. ….it’s no mystery, it’s no hoax…you too can understand how they work using basic biochemistry and an open mind! In a healthy state, you are functioning in two realities at once. Half of the time your are focused on your form identity and the other half on your identity with the Totality of What Is. In the fallen state of consciousness, you find yourself trapped with your awareness on one side only, while the actual substance of your being continues to function on both sides. … It is important that you return to a consciousness of your true self. For though you still exist in both realities, unconsciousness of your identity with the Creator is cutting off the flow of Life-giving information to the part of you that exists in form. Your existence in identity with God is the reality from which all Life springs. Focusing your attention exclusively on form greatly restricts and eventually curtails the flow of Life currents. 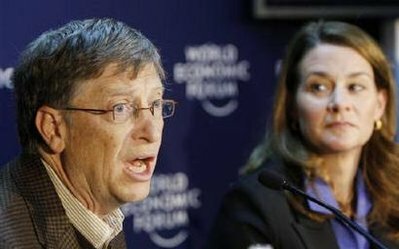 SHOCKING TED.COM VIDEO: WINDOWS NAZI BILL GATES WANTS TO MURDER AND/OR STERILIZE YOU BY DOING A “REALLY GREAT JOB” ON VACCINES! SHOCKING TED.COM VIDEO: WINDOWS NAZI BILL GATES WANTS TO MURDER AND/OR STERILIZE YOU WITH “A REALLY GREAT JOB” ON VACCINES! BILL GATES SAYS ON CAMERA! HATONN: THE “THUNDER PEOPLES” AND THE “SKY BROTHERS”….who eats human flesh??? cause you to forget that you yourselves are “aliens”. 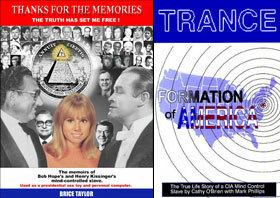 They are Brice Taylor, author of Thanks for the Memories (1999) and Cathy O’Brien (with Mark Phillips) author of Trance-Formation of America (1995).